WebSphere MQ has become the de facto standard for asynchronous application integration. As architecture has stimulated from CICS and mainframe to SOA, then WebSphere MQ has adapted. MQ is widely..
WebSphere MQ online training has a big demand in the current market for data processing. 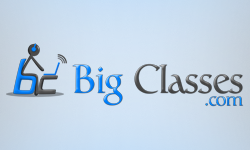 At BigClasses we are providing latest and structured WebSphere MQ training for our learners to..